In 2006, Voiceprint released a DVD version holding the complete show. The latter is clearly the preferable version to buy as it gives you not only the full show, with all of the songs in the correct order, but also the visual experience of video. I am the proud owner of the special edition double DVD set - one of the finest pieces in my music collection - which also holds the music video collection In The Big Dream as a bonus feature. I have previously given the DVD video version a four star review but the CD version merits a lower rating. Another point of reference is the recently released Live At The NEC, Oct 24th 1989, which features a different show from the same tour. This release also holds a complete show on two CDs. This proves that the full set does fit onto two CDs which begs the question why some songs were omitted from the An Evening Of Yes Music Plus CD album. 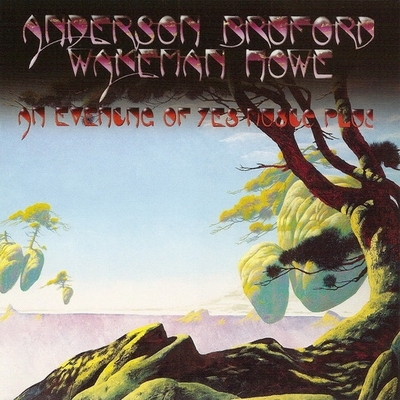 Having at least one live release from Anderson Bruford Wakeman Howe in your collection is highly recommended but you get more value for money if you get the DVD version of An Evening Of Yes Music Plus. And if you still want more after that get the Live At The NEC double CD. If you have both of these you have everything you need and will not require the CD version of An Evening Of Yes Music Plus, good though it is.